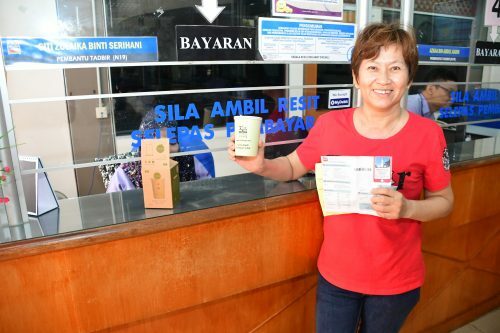 KUALA SELANGOR, 11 JAN: The earliest property owner of the 2018 tax assessment in the Kuala Selangor District Council (MDKS) administration seat has the chance to have a free exclusive cup of free edition. Development Planning Department director Mohamad Yusli Askandar said the gift of 'eco' cups was made from the wheat husk in recognition of the taxpayer's commitment and responsibility. He said it was also aimed at raising public awareness on plastic and polystyrene threats to the health of the community, the environment and wildlife. "The use of this material takes a short time to decompose, easier to recycle and non-toxic. "The public are urged to seize this opportunity through the full tax assessment of 2018 and granting this prize based on whom he can quickly," he said. Mohamad Yusli said the bills for January to June 2018 have been issued and people are urged to check and pay immediately before 28 February to avoid the Fee Notice (Late Fines). He said property owners were advised to bring the old bills or property documents if they did not receive the current bill to make payments. "The tax collection is returned through services such as domestic waste collection and public cleansing, maintenance of road infrastructure, street lights, drains and so on. "It can also improve the quality of services in providing conducive urban environment for green economy development, environmental preservation, historical heritage and quality life," he said.